Latest Job Vacancies at Qatar Gas. Qatar Gas was first established in 1984 and is now the largest LNG (Liquified Natural Gas) company in the world. Supplying and producing 42 million metric tons of LNG each year, this company has its headquarters in Doha, Qatar and is a major employer, making it a good choice if you are looking for work. 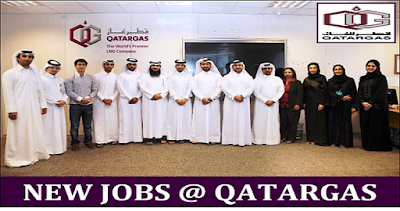 Here we look at how to find the latest job vacancies at Qatar Gas and how to make an application. If you are thinking of applying for a position with Qatar Gas you need to be sure that you have the appropriate skills and qualifications. Naturally, the necessary qualifications will vary depending on the role applied for, however as a basic minimum a good level of high school education must have been achieved and many posts will also require a university degree or specific industry relevant qualifications. English language is the business language of this company and therefore candidates must have a good spoken and written level of English equivalent to at least level 5.5 in ILETS. If you are looking for the latest job vacancies at Qatar Gas you should start your search at the company's own website. Here you can find complete listings for all available positions so that you can easily perform a search and find employment that is relevant to your existing skillset. You can search by department, project requirement or seniority in order to find the most suitable post. Qatar Gas are looking for motivated and bright candidates who have a strong commitment to their career. Posts can be applied for online through the company's own website or by emailing an application to the email address provided on the website. Once your application has been assessed, if you are found to be suitable for a position you will be contacted by a representative within a fortnight to arrange an interview. You will need to bring a university or school transcript to your interview along with some ID, a passport and any certifications as well as your up to date CV. You will usually be invited to two interviews, one with Human Resources and Learning and Development department representatives (which will assess English language skills and personal aptitude) and then a technical competence interview with technical interviewers who will assess your qualifications and skills in relation to the post that you have applied for. If you are successful you will be offered a position within a week of the second interview. All candidates must also present themselves for a medical before formally taking up their post.